It’s not luck at all, but call me lucky. Lucky because I can put some of my uniqueness into the graphics I create for work. Lucky because it’s a quiet atmosphere. Lucky because I am alone for hours, with space to create and generate ideas. Lucky because I got this far in life and I didn’t even have to get a college degree or drown in massive amounts of debt. Lucky because I have the ability to keep on learning. Lucky because I get to experience life in a human body. I can stare at this all day. Kinda like a lava lamp, but not really. Posted in Animated GIF, Graphics, Marketing. I was trying to get this GIF to loop seamlessly in After Effects. Haha, it’s a 10.4 MB file, original drawing on my Instagram. I started off with a drawing that I did today, took a picture of it and sent it to my email. I then separated the stem from the flower in Photoshop into 2 parts so I can animate it in After Effects. I also had to fill in the gaps on the stem – so when I rotate & scaled the flower, the top of the stem doesn’t disappear. Trippy Monday, life is good. Perhaps you need to make a flyer and can’t seem to find that perfect background. Why not make your own? I notice that the time it takes for me to search for a background, could’ve been used as time spent making one. It really doesn’t take that long, if anything you will end up spending more time creating your background because it’s a lot of fun and you will literally get lost in the creating process. This Photoshop tutorial is aimed towards intermediate users (those who aren’t new to Photoshop and use it regularly), but I think semi-beginners can do this as well. I am on a Mac using Adobe Photoshop CC 2015. Mine is 800×800 pixels, 72 resolution, RGB mode. Perfect to use for Instagram. 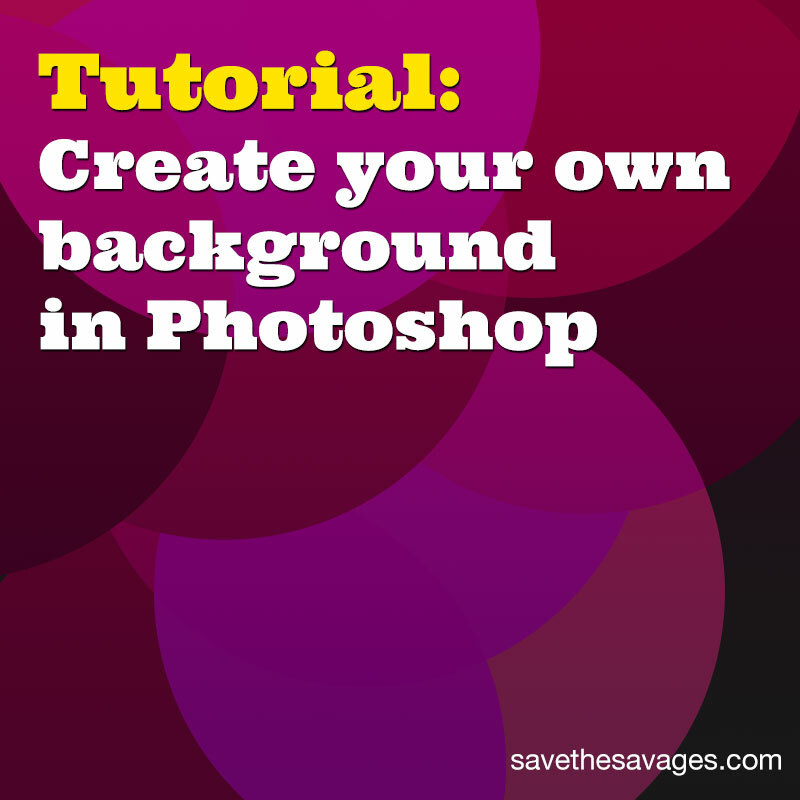 Step 2: Change the color of your background. I picked a gray color (#666666) and hit Option (Alt for PC) and the Delete key. This fills your current white background with the gray or whatever color you choose. Step 3: Pick another color and make a shape. Click the U key on your keyboard or go to your Toolbar to click and hold the icon with the circle – a dropdown menu appears to give you other shape options. 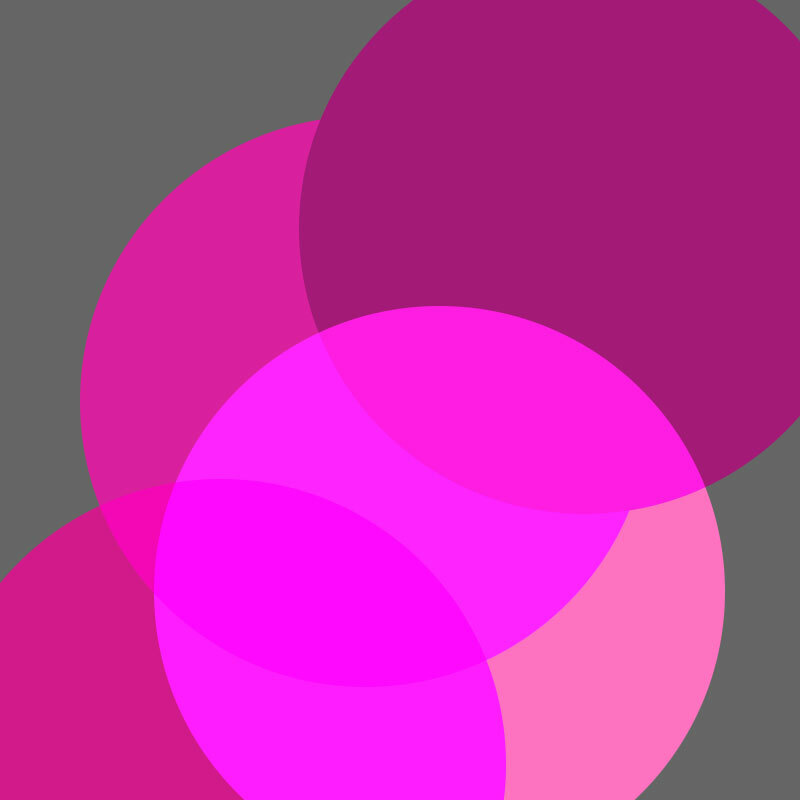 I am going to keep it simple and do an elipse…a magenta elipse. I am now going to call it a circle instead of an elipse because it’s just easier to say. Step 4: Pick another color, duplicate your circle, and change the color. With your circle layer still selected, hit Command (Windows/Start on a PC) Key and J and now you have another circle. Option + Delete Key to fill it with a new color and move it around. 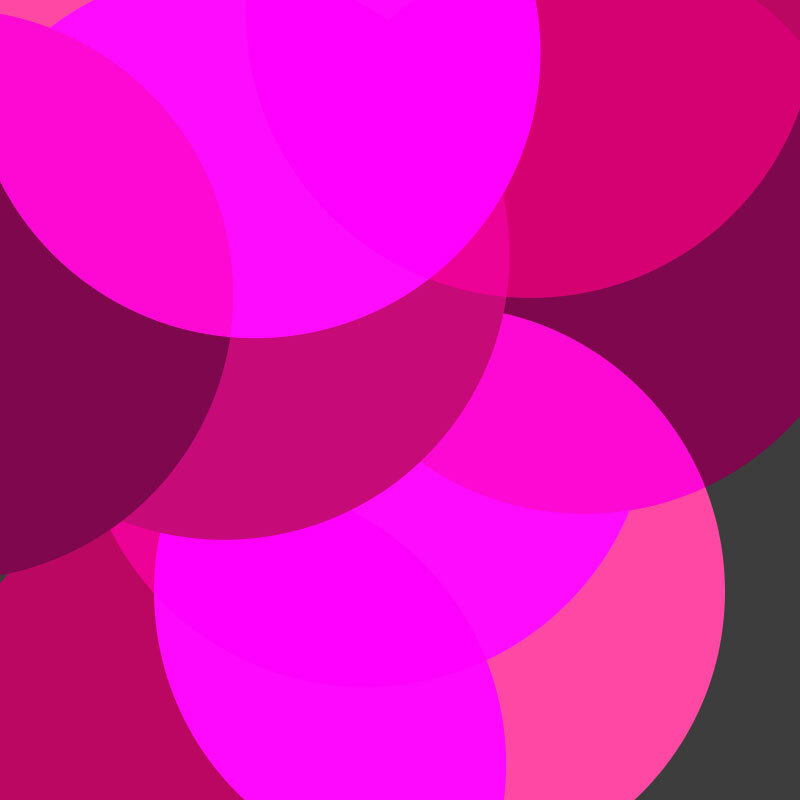 I picked a darker magenta. 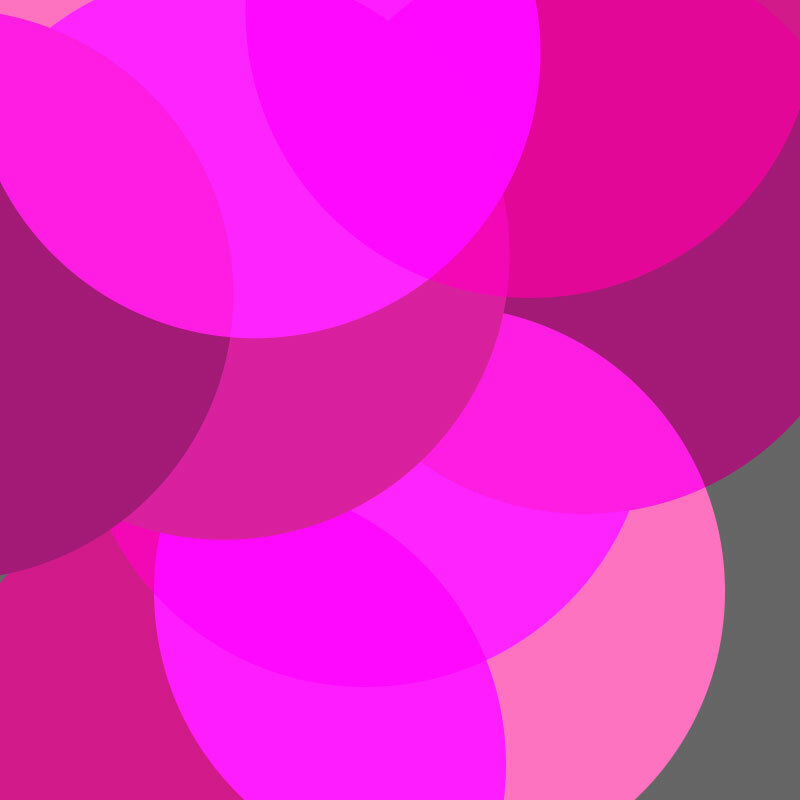 Step 5: Duplicate your 2 circles and play with the color modes. This is the fun part, the part where you can get lost and play for a bit because it’s endless. Select both circles in your Layers panel (Shift + Click to select more than one item) and hit Command J again. You should now have 2 other sets of circles, 4 total). Move them around, make them smaller or bigger if you want; deselect and then select one of them and choose Color Dodge in the Blending Modes dropdown menu right above your Layers. The circle “blends” in and now you can see the other circles underneath. Select your circles by Shift + Clicking on each one until you have all of them selected, then hit Command G to group them. Doing this creates a folder for your circles. Hit Command J again to duplicate that folder you just created. Now you have a 2nd folder full of circles and you can move the entire folder around, maybe even rotate it to create an interesting composition. Play around with this until you are satisfied. Step 8: You can repeat step 7 or add an Adjustment Layer. So let’s say you’re satisfied with what you made, but the image you created is still too bright to add text over it. You can add a Levels layer to make it darker or brighter depending on your needs. In addition to the Levels (which made mine darker), what I also did is create a new layer, and made a gradient over this, hit G on your Toolbar. Hold and drag your mouse over this new layer and it should create a gradient with the 2 colors you have as Foreground & Background. I gave it a Multiply Blending Mode to make it darker. It adds depth to your background and now you can put light colored text over it. Go ahead and add some text to this image. Here is the PSD that I used for this tutorial that you can download for reference. The font I used for the main headline is a Google font called Ultra. Usually when I find that something in Photoshop isn’t working, it’s probably because you didn’t select your layer in the Layers panel, and then you also have to target your image. So always remember: in order to change something, you must select it first – the layer itself and then click to the image area. Posted in Animated GIF, Ideas, Marketing, Photoshop Tutorials.